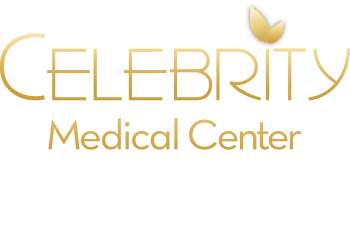 At Celebrity Medical Center your consultation begins with the assessment of your concerns, needs and goals. We are not here to sell you the most expensive or in vogue package or procedure. Our approach is personalized. You tell us what your concerns are and we will present you with different options to improve your aesthetic appearance. Your options would include both medical aesthetic procedures to give you a quicker satisfaction, as well as, integrative medical interventions designed to address the route cause of the problem. You will receive advice on what you can do outside of our office to help you achieve the results you are looking for, including when and who to see in cases where the solution to your concerns that may be outside of our scope or abilities. We will remain your trusted advocate and ally no matter what. Stay away from those who just got their certificate over a weekend and have not had an extensive training. They need to be either Board Certified Plastic surgeon, Dermatologist or an Internist who is Board Certified by the American Academy of Aesthetic Medicine, which is a 2 module course taken over a period of one year followed by the written and oral examination (even though this is not a Board approved by AMA, currently there are not Aesthetic Boards offered outside of Plastic surgery Boards).